Welcome to our blog, which will be updated from time to time as we navigate life without Donnie and include the latest news from the charity. Today we end our first complete calendar year. Thank you to all who gave us time, expertise, encouragement and donations in 2018. Thank you to all who ran long distances in heavy rain, cut off their hair, engaged in various types of marathons or ran jumble sales to raise funds for us. Thanks to all your support, we are close to starting a trial - a UK first that we hope will greatly enhance the lives of families with a baby in neonatal care. We are more grateful than we can say. More on ... everything ... in 2019. Today, The Jewish Chronicle published a version of Donnie's story, beautifully told by the very lovely Rachel Creeger. We did it! Today, we reached (and exceeded) our target. In a few short months and just before the end of the calendar year, we have raised more money in Donnie’s name than we thought we would raise over several years. Because when we first privately had the idea to raise £180 for each day of his life, we thought Donnie might live for a few days or possibly a few weeks. No-one thought he would live 142 days or that those days would be so full of life. So our project was much smaller because Donnie’s life was smaller. The number and scale of donations (and the beautiful messages which have accompanied them) have been humbling, strengthening and beyond what we could have imagined. And this will be at the forefront of our minds as we spend the funds carefully, in consultation and always with Donnie in mind. Our ideas are forming and we will keep you updated. Collectively, you have been the best partners and companions we could have wished for on one of the most lonely and difficult journeys life will surely offer us – and at times continues to offer. Our lives have been, and continue to be, transformed by Donnie’s existence in ways we could never have imagined. And we feel very lucky to be surrounded on this continuing journey by the most wonderful friends, family and wider community. We look forward with optimism to 2018 in the hope that Donnie's legacy will continue to bring good to the world. Scout arrived 5 weeks ago. She is sweet-natured and adoring and her puppy antics have brought fun and love into our home. Just as we hoped they would. But her impact has also been much broader. Her sweet looks and personality have drawn children across the school playground, brought visitors into our home, stopped people in the street and encouraged normally dog-phobic children to stroke her. None of that we foresaw. 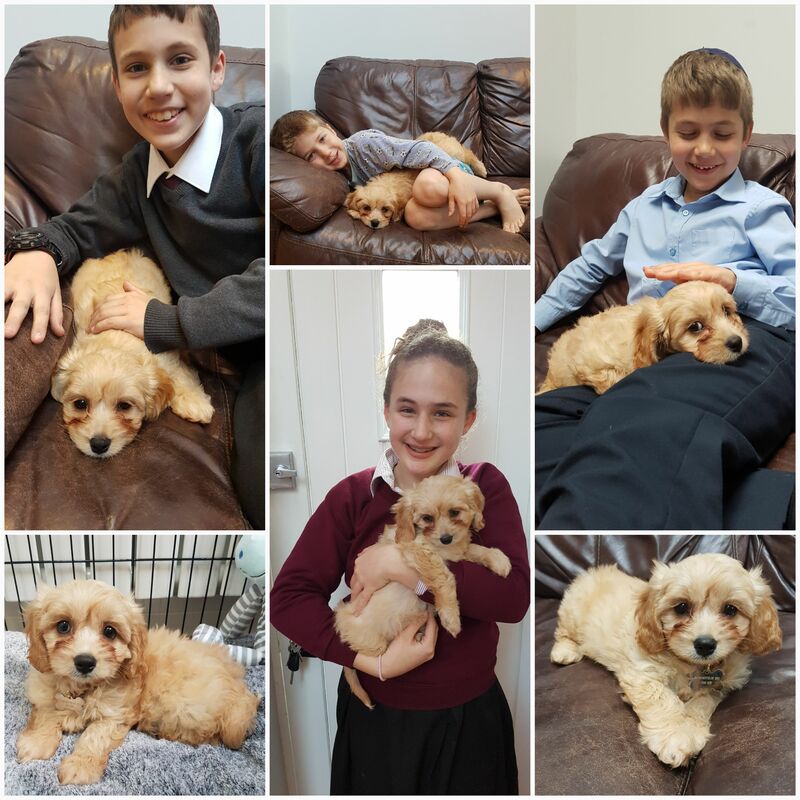 And for all these reasons, we are training her carefully in the hope that in time she will become a PAT (Pets as Therapy) dog so that children who are having a hard time can enjoy her too. At the same time, Donnie’s Fund is growing. We have received almost £21,000 in donations and we have pledges for more, which means that we will hopefully have reached our initial target by the end of the calendar year - a target which everyone knows by now is meaningful to us in representing Donnie’s life and which will be spent in a way which reflects it. More news on that in a future update. We had no idea when we embarked on this project that we would be approaching our target within a matter of months. And this is entirely thanks to the generosity of friends, relatives and strangers. But why does Donnie’s Fund mean so much? Every donation, however large or small, and every bit of other help we have had with the fund, has come from someone who was touched by Donnie’s story and what the UCH Neonatal Unit did for him. Or understands that this means a lot to us. Or both. Because in raising funds in Donnie’s name for the UCH Neonatal Unit, we hope to make life better for other families. And it is lovely that we can do so by working with the same special people who enabled Donnie to live and keeping a connection to the place which was Donnie’s home for the entirety of his life. In a very real way, we can also see that Donnie’s Fund is changing our children and those around them. In good ways. 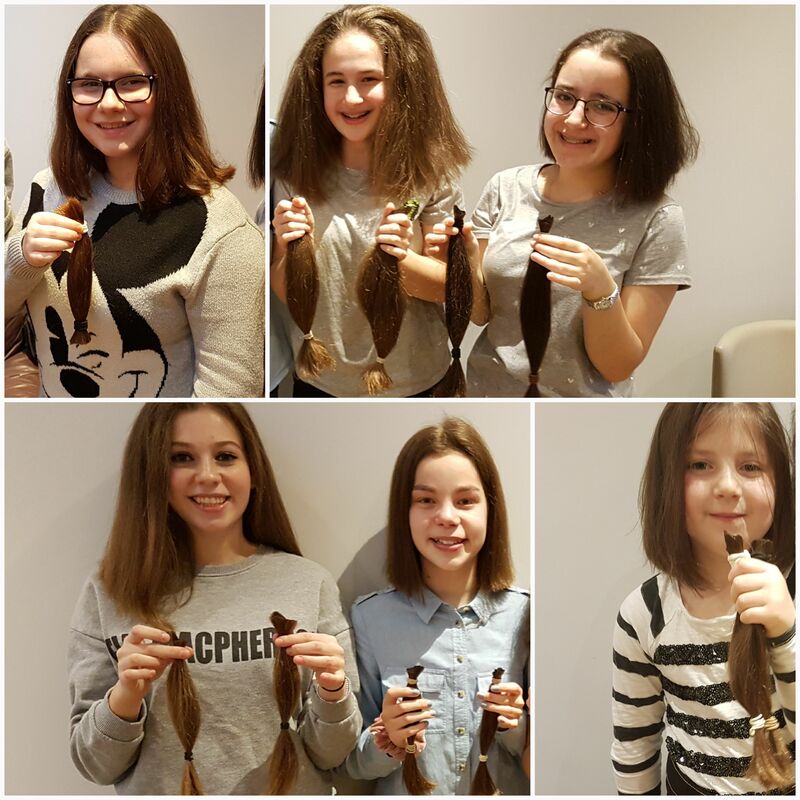 For Yael and Matty, as for us, Donnie’s Fund has become a focus for their energies and skills – Yael has spoken in front of her whole school (several times), organised herself and her friends to donate a collective 67 inches of their hair to the Little Princess Trust for sponsorship and set up the @donniesfund Instagram page. Matty has surprised himself as much as us in agreeing to speak to his peers about Donnie’s Fund and has kicked off the design competition he and his friends are running across both schools and which will eventually lead to the production of cards which will be sold for the fund. And in these efforts, there is a reciprocal effect. Our children are surrounded and supported by their friends and school community. And other pupils are inspired by them. In fact, Yael’s positivity and enthusiasm about Donnie’s Fund culminated in her receiving the prestigious and peer-nominated Jack Petchey Award just a couple of weeks ago. Actually, almost a quarter of the money raised for Donnie’s Fund so far has been based on the ideas and efforts of children. 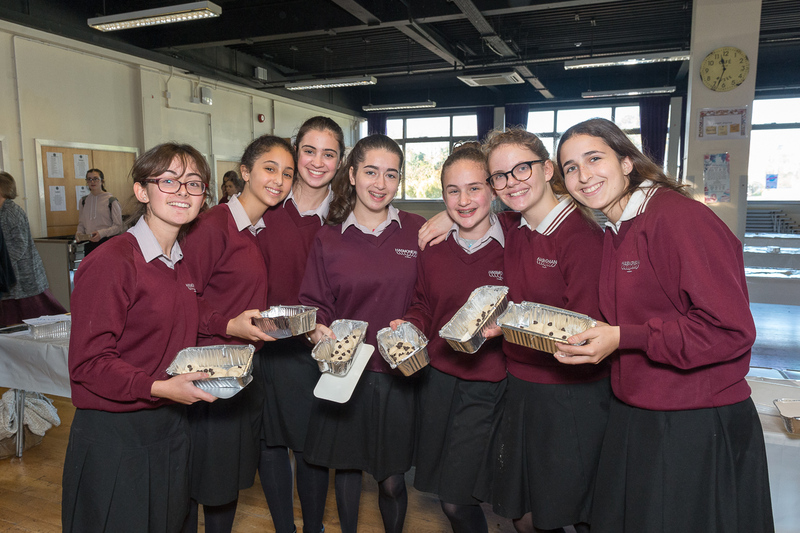 There was the eight-year-old who collected 18 lots of 18p, children who pledged part of their bar/bat mitzvah money, a sixth former who arranged a challah bake in her home and a family who sold branches from their laurel bush for people’s sukkahs. There is the group of fifteen-year-old boys who are arranging a 13 hour football match and the thirteen year olds who have chosen to support Donnie’s Fund through the First Give competition. And all of that is quite apart from the whole school efforts of a challah bake and a Chanukah fair which between them raised over £3,500.00. It's been a while since my last update but this seems like a good moment. Friday was my birthday - one I was quite ambivalent about but one which turned out to be quite special. We started the day as guests at Hasmonean High School. There, we remembered Donnie as the girls held a sponsored Challa Make to raise money for Donnie’s Fund. The atmosphere was incredible, Yael spoke in front of over 500 people (clearly and eloquently) and the girls raised £1,000, taking our total raised to over £16,000 and meaning we are almost two thirds of the way to our target of £25,560 - £180 for each day Donnie lived. Then the six of us set off for Oxfordshire for the weekend. To regroup. Blue skies and sun were our friends for the weekend and we slept and walked a lot - around Oxford and its colleges and in the Cotswolds. The kids climbed and walked and swam and laughed and found sticks and played Lego. And they enjoyed every bit of the luxury of staying in a nice hotel for two nights, which we don’t normally do. And we enjoyed every bit of their enjoyment. For the first time in a long time there were moments when we all felt together and it became clear that togetherness, if we can find it, could be our biggest support in learning to live without Donnie. So we will seek out more "together" opportunities. But that is not always easy when you live in a family of six very different people on different schedules who are experiencing grief differently. And when as parents we know we should really be putting the needs of others first but can’t often do more than spin on our own axis. And that is one reason why getting a puppy should be good for us as a family. Of course, it is widely known that dogs can be therapeutic but this will be more the case for some of us than for others. There is the child who won’t be able to keep his hands off the dog, the one who will teach it tricks and the one who will just enjoy sitting and reading in its company. There is also the child I cannot predict. And maybe one who will surprise us all. But this is also inherently a family project in which we will all be invested. None of us have had a dog before so we will all be learning. And I have done enough research (who'd have thought?!) to know that in a house where people come and go, consistency amongst the six of us will be key if our dog is to be well-trained and sociable. Until Scout is house-trained, every time someone goes upstairs they will need to remember to close the stairgate. If they don’t, any one of us could find a deposit on the carpet of our bedroom. And if the baskets of clean laundry in the utility room are knocked over when someone rummages for a lost item, it could be anyone’s sock which ends up chewed on the floor. Inevitably, these things will happen too and when they do we will laugh and cry. But that will be good too. And at a time of continued emotional uncertainty, the togetherness, consistency and unconditional love which a dog can bring into our home feels like a good thing. Scout arrives on Sunday. We will keep you updated. and eating more pickles and yoghurt (not together and something to do with keeping the gut microbiome diverse). So, Marcel and I have decided to incorporate these activities into our lives in some way and see if they help us navigate this undoubtedly difficult time. Some might not work for us at all or might work for one of us. Some might be things we do together. Others we will do alone. Some of these are old friends and some are far outside our comfort zone. And it is not that either of us are against the talking therapies and medication which wise people around us have recommended but wouldn’t walks outside or a dog be nicer for all of us? And wouldn’t gardening or helping others through our little charity be more productive? And there are health benefits from being active and over time cost savings too probably. And, because they are not tied to appointments, these things have a chance of making the really hard days better. Because today, we did something no parent should have to do for a child. We went to the stone mason to choose a memorial stone for Donnie's grave because quite soon will be his tombstone unveiling when we will reflect for the last time formally on Donnie’s life and focus on its meaning and legacy. We chose granite because granite is hard-wearing and needs no maintenance. And we chose a colour for the granite. Not so long ago we were also looking at the colour of granite. Then it was for our new kitchen worktops and the colour mattered because the colour of everything matters in a new kitchen - ours needed to contrast with cabinets. But on what basis should you decide the colour of the stone that will cover your child's grave for perpetuity? Should you just choose something you like? Should it blend in or contrast with the graves around it which are likely to be there for as long as he is? Will anyone other than you notice or care? Am I alone in arriving to this conversation fresh and finding it surreal? And the colour of the stone is just one decision. There are more. The shape of the stone, the size of it, the configuration (with a “kerb” or without?) all need to be agreed. And then there is the inscription – the colour, the font and the messages – in our case in two scripts. Who knew there were so many things we needed to have an opinion on? Things which will long outlast our opinions. And opinions are not always easy to come by when it is all you can do to hold back the tears as you wish in that moment that you could hold your baby once more wrapped in the lovingly knitted blankets which used to cover him and arrange instead to cover him forever with a permanent blanket of stone. How does the man in the office think you will be when he greets you with “How are you?” as you walk in? So today was undoubtedly one of the hardest days we have had since Donnie died. Everything felt hard and fixed and final. What a contrast to Donnie’s life, which was at its best, lived flexibly and creatively in the moment. And we have started talking with doctors at UCH who knew and cared for Donnie about ideas for furthering the aims of Donnie's Fund. And it is clear to us that the fund will enable us to make life better in areas which affected Donnie. And that is why Donnie’s Fund means so much to us. We are so thankful for all the donations we have received so far. On the basis of these, we are already over a quarter of the way to our target. And we are delighted that we can continue to move closer to it now through our new Virgin Money Giving page. Please help us by making a donation! You can read more about Donnie's life in Donnie's Story.